The Glendower stream rises in Wilbart, Germiston, and flows first through Bedfordview, the Glendower suburb and Glendower Golf Course to enter the Jukskei River at the Linksfield Road Intersection. The area south of the R24 Freeway was developed in the 1990’s and 200’s from smallholding farmland to office parks. 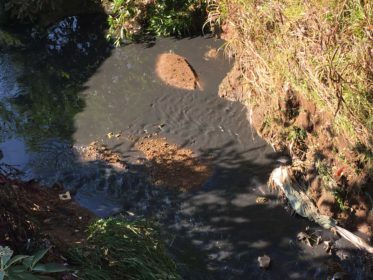 There is a plan to improve drainage further upstream from the start of the above-ground stream in Solheim to Protea Road. The draft Environmental Basic Assessment GAUT 002/13-14/E0294 was completed in May 2015. The Environmental Practitioners are Ecoinfo. In the summer of 2009/2010 Boeing Road East was flooded. 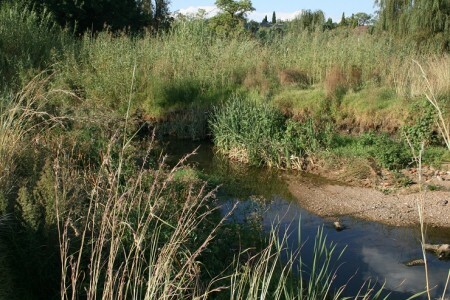 Since then this section of the stream has been excavated and straightened by the municipality on two occasions to improve drainage. In August 2015 a third reconstruction on a larger scale started, together with an office development on the west bank next to the freeway. River Health was monitored at the Boeing Road East Bridge. 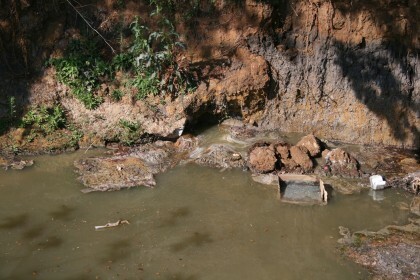 The health deteriorated from 2003/04 summer season to 2008/09 when construction made the site unsuitable. Assess to the site has recently been closed. 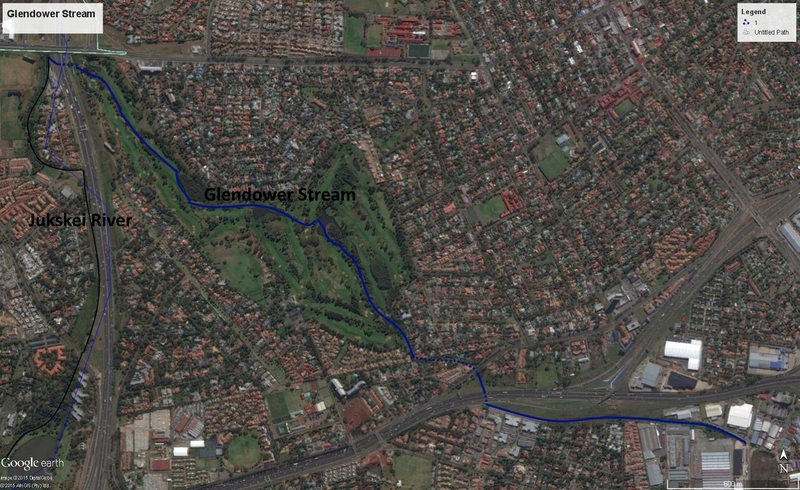 In 2015 River Health was assessed in the Glendower Golf Course where the stream enters downstream of Boeing Road East and where the stream exits to the Jukskei River. 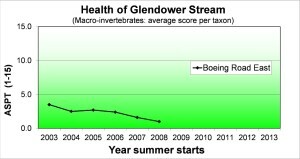 The health of the river was poor, but showed improvement as it flowed through the open area. Industrial discharge into Glendower Stream February 2016. A time lapse video shows what happened in the course of a day, condensed to 60 seconds. This pollution is still not resolved. This record shows the development between Boeing Road East and the R24 Freeway.